Speaking at the 27th session of the Universal Periodic Review Working Group at the United Nations High Commissioner for Refugees in Geneva, Attorney General Mukul Rohatgi said that the Indian Constitution enshrines various provisions for the protection of the rights and interest of the minorities. 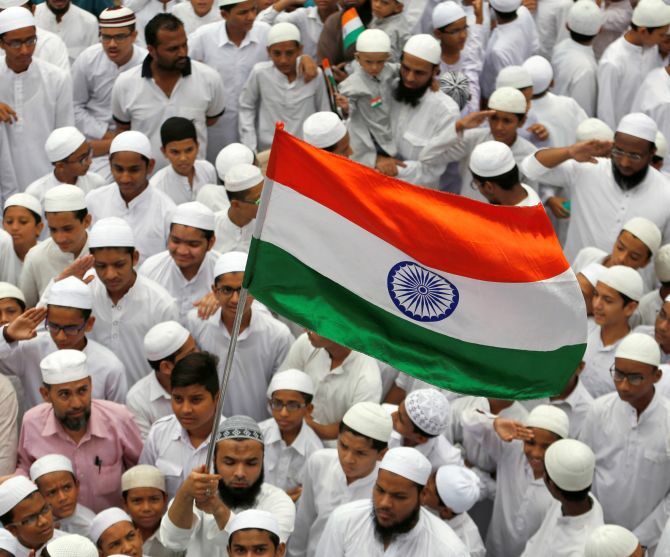 "India is a secular state with no state religion," he said, adding that the Indian Constitution guarantees freedom of religion to every individual. "As the world’s largest multi-layered democracy, we fully recognise the importance of free speech and expression. Our people are conscious of their political freedoms and exercise their choices at every opportunity," Rohatgi told the member states. It also raised the issue of "mob violence" against the minorities Muslims, Sikhs, Christians and Dalits in India. "We believe in peace, non-violence and upholding human dignity. As such, the concept of torture is completely alien to our culture and it has no place in the governance of the nation," the Indian delegate said. "Whether this Act should be repealed or not is a matter of on-going vibrant political debate in my country," he said. On transgenders, he said India has been at the forefront of recognising their equal rights. The Supreme Court gave a landmark judgement in 2014 directing the government to declare trans-genders a "third gender" and included them as an "Other Backward Class" entitled to affirmative action benefits. On global warming, he said India remains alert to the problem and as part of the thrust towards fulfilling its people's right to a clean environment, it has launched the Swachh Bharat Abhiyan-Clean India Campaign nationwide. "We have overhauled the legal framework for dealing with child sexual assault," he said, adding that India remains deeply committed towards reinforcing and accelerating the efforts towards combating human trafficking. He said India attaches utmost priority to poverty eradication and achieving inclusive sustainable development. Major initiatives like Smart Cities, Make in India, Beti Bachao Beti Padhao--Celebrate the Girl Child and Enable her Education, Swachh Bharat--Clean India, Jan Dhan Yojana--Bank Accounts for All, Digital India, Skill India, Start up India etc. mirror the targets of the Seventeen Sustainable Development Goals for achieving the 2030 Agenda, he added.